Written by northern at 2017-08-05 06:51:25. Updated by northern at 2017-08-05 07:01:57. Written by meli at 2017-04-18 03:27:07. Updated by meli at 2017-04-18 04:00:26. ¡Un anime para ver en navidad: Tokyo Godfathers! Written by milo at 2016-12-29 23:11:30. Updated by milo at 2016-12-29 23:11:30. Written by kuroyume at 2016-09-09 05:48:47. Updated by kuroyume at 2016-09-10 02:42:15. Written by kuroyume at 2016-08-22 06:22:55. Updated by kuroyume at 2016-08-22 06:22:55. Written by urd at 2016-08-02 23:27:49. Updated by urd at 2016-08-04 02:05:30. El Pro, el noob y el LatinChat: Los inicios del rol. Written by urd at 2016-07-13 22:06:48. Updated by urd at 2016-07-14 01:02:51. 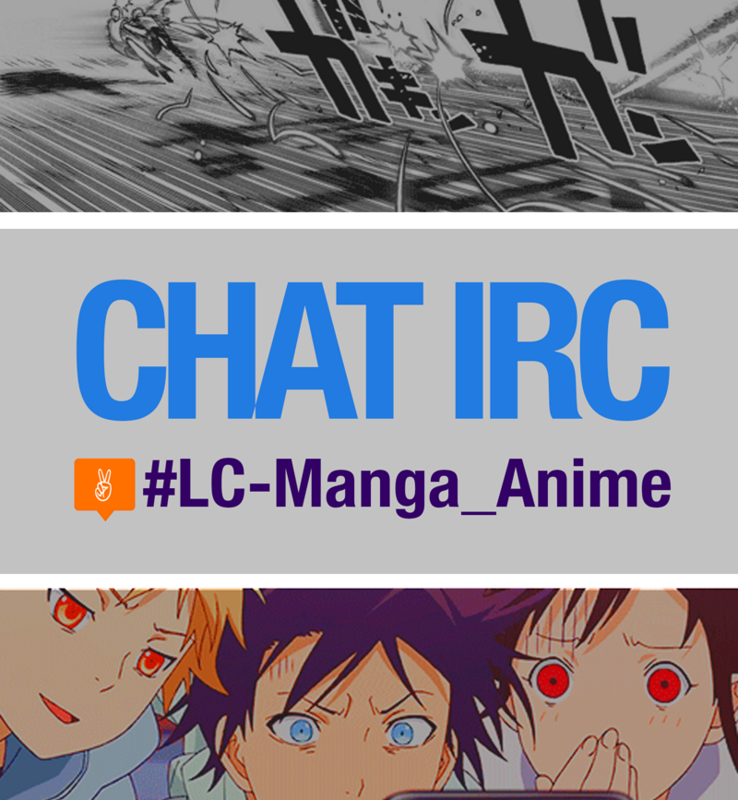 ¿Por qué deberías entrar a #LC-Manga_Anime? Written by urd at 2016-07-11 05:22:01. Updated by milo at 2017-10-11 08:07:07.